Founded in Melbourne in 1996 by Maryanne Shearer and Jan O'Connor. Acquired by Unilever in 2013. One of the worlds largest consumer goods companies, with sales in about 190 countries. Changed from a dual-structured company to a single legal entity based in the Netherlands in 2018. This company sells Fairtrade Certified tea. However this only represents a fraction of their total tea sales. This company won awards in 2015, 2016 and 2017 from the Australian Packaging Covenant, for demonstrating their commitment to environmental sustainability by performing 'above and beyond' in their efforts to minimise waste. This company achieved the highest overall score in their category, large pharmaceutical and personal care company. Smiths awarded the 'most likely to be littered' award in Environment Victoria's DUMP report 2007. Seakist* Lunch Kit pack features seven different small packaging parts (steel can, foil packet, plastic fork, serviette, two loose paper labels and a PVC plastic container) that are highly likely to be littered or at best dumped in the bin because no recycling instructions or information is provided. *Please note Seakist is now owned by Simplot. In May 2016 the NSW Environment Protection Authority (EPA) fined Unilever Australia $15,000 after soda ash leaked from a silo at the company's North Rocks premises. The EPA also issued Unilever with an official clean up notice. This company has been criticised for offensive advertising. In 2007, 2009, 2011, 2012 and 2014 the Advertising Standards Bureau upheld complaints about ads by this company on the grounds that they breached advertising codes. The ads were subsequently discontinued or modified. In July 2016 the ACCC ordered this company to pay a penalty of $10,800 for making false or misleading representation on the packaging of popular products they supply that the products had been approved or were suitable as healthy options for school canteens. In 2011 the Therapeutic Goods Administration's Complaints Resolution Panel upheld a complaint about an ad by this company on the grounds that it breached advertising codes. The ad was subsequently withdrawn. This company is a signatory to the Responsible Children's Marketing Initiative (RCMI), which is managed by the Australian Food & Grocery Council and covers products found in retail outlets. Companies that have signed up to the initiative commit to: only advertising healthier choices to children and encouraging a healthy lifestyle through good diet and physical activity; not paying for or seeking product placement television programs, editorial content or interactive games aimed at children, unless the product is a healthier choice; not advertising and marketing to children in Australian schools unless they are asked to by those schools. This company is listed by the Workplace Gender Equality Agency (WGEA) as a Employer of Choice for Gender Equality citation holder. The citation is designed to encourage, recognise and promote active commitment to achieving gender equality in Australian workplaces. The Forest 500 identifies, ranks, and tracks the governments, companies and financial institutions worldwide that together could virtually eradicate tropical deforestation. Rankings are based on their public policies and commitments and potential impacts on tropical forests in the context of forest risk commodities (palm oil, soya, beef, leather, timber, and pulp and paper). This company received a score of 5/5. This company received a score of 9 out of a possible total of 9 in the WWF Palm Oil Buyers' Scorecard 2016, which rates companies on what they are - and aren't - doing to prevent the negative environmental and social impacts of palm oil production. 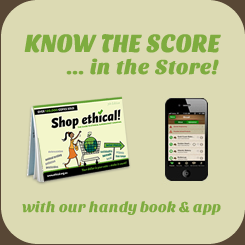 Ethical Consumer has ranked companies' practices and policies in relation to their palm oil sourcing for the Rainforest Foundation/Ethical Consumer palm oil campaign. This company received a 'green' rating. In their 2017 report 'Feeding Ourselves Thirsty', Ceres looks at how food sector companies are responding to water risks. 42 companies were assessed on a 0-100 point basis across four categories of water management: governance and strategy, direct operations, manufacturing supply chain and agricultural supply chain. This company received a score of 73/100. The Union of Concerned Scientists' 2015 Palm Oil Scorecard scores America's top brands on their commitments to use deforestation-free palm oil. This company received a score of 88.4/100, signifying strong commitment. The Access to Nutrition Index (ATNI) is a global initiative that evaluates the world's largest food and beverage manufacturers on their policies, practices and performance related to undernutrition and obesity. Of the 22 companies ranked this company came 2nd. The 2017 Corporate Human Rights Benchmark assessed 98 of the largest publicly traded companies in the world from the Agricultural Products, Apparel and Extractives sectors on 100 human rights indicators. This company's score was in the 50-59 band range. The overall average score was 28.7%. The 2017 Business Benchmark on Farm Animal Welfare (BBFAW) report ranks global food companies on how they are managing and reporting their farm animal welfare policies and practices. This company appeared in tier 2, "Integral to Business Strategy", with tier 1 being the best, and tier 6 the worst. This company received a score of 10 out of a possible total of 24 in the WWF Soy Scorecard 2016, which rates companies on their use of responsible soy, grown without damaging the environment and harming people. In 2016 Greenpeace East Asia ranked the world's 30 biggest personal care companies on their commitment to eliminating microbeads from their personal care products. The scorecard was based on four main criteria: commitment & transparency, definition, deadline and global application. This company ranked joint second. Microbeads are not retained by wastewater treatment and end up in the ocean where they are a threat to the marine environment. This company is listed as having best practice on a report card on lesbian, gay, bisexual and transgender equality in corporate America. Oxfam's 2016 Behind the Brands Scorecard assesses the agricultural sourcing policies of the world's 10 largest food and beverage companies. It exclusively focuses on publicly available information that relates to the policies of these companies on their sourcing of agricultural commodities from developing countries. This company scored 74% (fair). The Global 100 Most Sustainable Corporations in the World list is an extensive data-driven corporate sustainability assessment. The ranked companies are leaders in the field of a sustainable business approach. The efficiency of a company's energy, water, CO2 and waste management is measured in relation to its total sales volume. The disclosure of that information is a pre-condition for the assessment. This company ranked #47 in the 2016 Global 100. In 2018 volunteers collected and catalogued more than 187,000 pieces of trash from beach cleanups around the world to find out which corporations are contributing the most to the global plastic pollution problem. This company ranked as one of the world's top 10 plastic polluters. A 2015 investigation by the BBC has found workers on Indian tea plantations who pick tea for this company are paid less than £2 per day and live in inhuman conditions. Living and working conditions are so bad, and wages so low, that tea workers and their families are left malnourished and vulnerable to fatal illnesses. There was also a disregard for health and safety, with workers spraying chemicals without protection, and on some estates, child labour being used. Hundreds of workers at Unilever's Kodaikanal thermometer assembly plant in India have been exposed to mercury poisoning. The factory operators did not give its workers any protective equipment or information about the disastrous impact that mercury has on health. The factory owned by Hindustan Unilever also dumped toxic mercury around their plant, and this has not been cleaned up in the 14 years since this plant was shut down. The contamination continues to impact forests and groundwater. Campaigning organisation Jhatkaa is calling on Unilever to clean up Kodaikanal's mercury pollution and compensate the workers. As You Sow's 2018 report, Mining the Disclosures, is a deep analysis of 206 companies' human rights performance in relation to sourcing conflict minerals from the Democratic Republic of the Congo (DRC). This company's score was below 40% (Weak). This company received a score of 25/100 (retrieved 14-Feb-2018) in the Corporate Information Transparency Index (CITI), a system for evaluating supply chain practices in China, particularly in regards to environmental management and water pollution. Scores are calculated using government compliance data, online monitoring data, and third-party environmental audits, as well as trends in the environmental performance of factories in the company's supply chains. A 2016 report by Amnesty International found a range of labour rights abuses on the palm oil plantations operated by Wilmar's subsidiaries and suppliers in Indonesia. These abuses include worst forms of child labour, forced labour, discrimination against women workers, people being paid below the minimum wage, and workers suffering injuries from toxic chemicals. The report confirms that Unilever purchases palm oil from Wilmar. This website by German NGO Earth Link rates companies on their corporate policies against child labour, production monitoring and accusations of child labour. This company received at least one red mark, indicating poor performance in one or more of these areas. This 2014 report by Friends of the Earth documents a tenfold increase in unregulated, unlabeled "nanofood" products on the American market since 2008. The report named this company among those with products containing unlabeled nano-ingredients. These nanomaterials differ significantly from larger particles of the same chemical composition, and new studies are adding to a growing body of scientific evidence indicating they may be more toxic to humans and the environment. In 2016 Unilever settled a multiple class action (some 2,294 claimants in total thus far) which claimed that the company knew of the potential for scalp burns and hair loss on use of their Suave Professionals Keratin Infusion 30-Day Smoothing Kit before it was launched in 2011, but did not warn consumers. Unilever discontinued the product in May 2012, but maintained that it was safe to use, and did not disclose reports of hair loss and scalp burns. The company has created a US$10,250,000 fund for the victims. This company appears on PETA's (People for the Ethical Treatment of Animals, USA) list of companies that are working toward regulatory changes to reduce the number of animals used for testing. This company DOES test on animals. This company scores Ethical Consumer's worst rating for the likely use of tax avoidance strategies, and has at least two high risk subsidiaries in tax havens. This company received a score of 42.9/100 in the Newsweek Green Ranking 2017, which ranks the world's largest publicly traded companies on eight indicators covering energy, greenhouse gases, water, waste, fines and penalties, linking executive pay to sustainability targets, board-level committee oversight of environmental issues and third-party audits. Ranking methodology by Corporate Knights and HIP Investor. In Dec 2014 this company and 12 other consumer goods firms were fined a total of 951m euros by the French competition watchdog for price fixing in supermarkets. The regulator said the companies colluded on price increases between 2003 and 2006. Unilever received the second largest fine of 172.5m euros. In Dec 2017 Italy's antitrust agency fined Unilever 60 million euros for abusing its dominant position in the country's ice cream market through its Algida brand. This company uses microbeads in some of its personal care products. These particles are not retained by wastewater treatment so end up in the ocean. While microbeads aren't thought to be a health hazard to consumers, they are a threat to the marine environment. This company has products rated RED in the Centre for Food Safety's True Food Shopper's Guide (USA). Products on the RED list contain ingredients that come from the most common GE crops (corn, soy, canola, cotton). Companies with products on this list have confirmed that their products may have or are likely to be made with GE ingredients, or have not denied using GE foods when given the opportunity to do so. Friends of the Earth's 2014 report "Tiny Ingredients, Big Risks" names this company as one of over 200 transnational food companies engaged in nanotechnology research and development, and on their way to commercializing products. New studies are adding to a growing body of scientific evidence indicating nanomaterials may be toxic to humans and the environment. Skin Deep is an online safety guide to cosmetics and personal care products and their potential hazards and health concerns, with over 69,000 products rated from 1 (low hazard) to 10 (high hazard). This company is a partner of the New Alliance for Food Security and Nutrition, which claims will lift 50 million people in Africa out of poverty by 2022. But according to a 2015 report by ActionAid, the scheme will benefit multinational companies at the expense of small-scale farmers and is likely to increase poverty and inequality in Africa. Launched in 2012, the New Alliance provides aid money from rich countries like the US and the UK, and helps big business invest in the African agricultural sector. But in return, African countries are required to change their land, seed and trade rules in favour of big business. The New Alliance will: Make it easier for big corporations to grab land in Africa: Prevent farmers from breeding, saving and exchanging seeds: Heavily promote chemical fertilisers and pesticides, which increase farmers risk of debt as well as damaging the environment and farmers' health: Replace family farms with low paid, insecure jobs; and Prevent countries from restricting crop exports, even at times of domestic shortage. Unilever has committed to sourcing 75 per cent of its paper and board packaging from sustainably managed forests or from recycled material by 2015, rising to 100 per cent by 2020. Thanks to the staggering public support for Greenpeace's Dove campaign in April 2008, Unilever has now agreed to play their part in saving the Paradise Forests of South East Asia. As the biggest single buyer of palm oil in the world, Unilever has a special responsibility to help clean up the industry that's behind so much forest destruction. This company is a signatory to the New Plastics Economy Global Commitment, whose goal is to eliminate plastic pollution at its source. The Female FTSE Board Report 2015 examines the percentage of women on the UK's FTSE 100 boards of directors. This company was one of 41 in the FTSE 100 with at least 25% female directors. Unilever was in 8th place with 35.7%. Compassion in World Farming is a UK-based organisation which works with the European food industry to encourage and reward commitment, transparency, performance and innovation in the field of animal welfare. This company won their Good Egg Award in 2008 for converting their flagship mayonnaise brands Amore, Hellmans and Calve, to use free-range eggs only across the EU. In Feb 2011 Unilever became the first major food manufacturer to announce that it will switch to 100% cage-free eggs for all products it produces worldwide. This company is a member of Bonsucro - Better Sugar Cane Initiative, a global non-profit, multi-stakeholder organisation fostering the sustainability of the sugarcane sector through its leading metric-based certification scheme and its support for continuous improvement for members. This company is a member of How2Recycle. The How2Recycle Label is a voluntary, standardized labeling system that clearly communicates recycling instructions to the public. It involves a coalition of forward thinking brands who want their packaging to be recycled and are empowering consumers through smart packaging labels. Companies must be a member of the program to use the How2Recycle Label. This company is a member of the Sustainable Agriculture Initiative (SAI) Platform, the main food industry initiative supporting the development of sustainable agriculture worldwide. Created by Nestle, Unilever and Danone in 2002, the SAI Platform is a non-profit organization to facilitate sharing, at precompetitive level, of knowledge and initiatives to support the development and implementation of sustainable agriculture practices involving the different stakeholders of the food chain. This company is a member of The Sustainability Consortium, an organization of diverse global participants that work collaboratively to build a scientific foundation that drives innovation to improve consumer product sustainability. They develop transparent methodologies, tools, and strategies to drive a new generation of products and supply networks that address environmental, social, and economic imperatives. This company is a Bronze Member of the Sustainable Brands Network, the leading peer to peer, learning and networking group designed to support brands in meeting their sustainability goals and ultimately become those leaders of the next sustainable economy. Deloitte developed a Zero Impact Growth Monitor that was used in 2012 to assess and rank 65 different companies' attempts to become more sustainable. Six companies reached the "Ecosystem" level: Puma, Nike, Nestle, Natura, Unilever and Ricoh. These pioneering companies have not only set measurable and ambitious mid- to long-term targets (beyond 2020), but have also embedded their sub-policies in a holistic strategic vision of their attempt to minimize their negative environmental and societal impacts. The United Nations Global Compact asks companies to embrace, support and enact, within their sphere of influence, a set of 10 values in the areas of human rights, labour standards, the environment, and anti-corruption. However it's non-binding nature has been widely criticised, and many signatory corporations continue to violate the Compact's values. The Ethical Tea Partnership was formed in 1997 when a number of major tea companies committed to working together to improve the social and environmental conditions in their supply chains. Green Bonds enable capital-raising and investment for new and existing projects with environmental benefits. The Green Bond Principles are voluntary best practice guidelines that recommend transparency and disclosure and promote integrity in the development of the Green Bond market by clarifying the approach for issuance of a Green Bond. In 2016 Greenpeace published a report on the progress towards zero deforestation in the palm oil supply chains of several multinational companies. Companies were assessed on three criteria: responsible sourcing, transparency and industry reform. This company was rated as 'getting there'. This 2013 Oxfam report is a study of labour issues in Unilever's Vietnam operations and supply chain. The report, based on research in Vietnam, explores the reality on the ground in Unilever's operations and wider supply chain, and compares the findings with the company's high-level policy commitments. Unusually, the company co-operated fully with the study, providing access to its staff, operations, data and suppliers. Rank a Brand searches the websites of brands for the answers to carefully targeted questions. From this they calculate sustainability scores based on the themes of environment, climate, labor issues, and transparency. Brands owned by this company received a 'C'.